Get amazing deals on our great selection of business-grade toner cartridges compatible with the Brother HL-L5000D printer. We put all of our high-quality toners through a rigorous testing process in order to ensure maximum performance and reliability for all of your important print jobs. Here at 1ink.com, we believe great toners shouldn’t have to break the bank which is why we offer the best deals on all orders and back them up by a 1 year warranty as part of our 100% satisfaction guarantee. 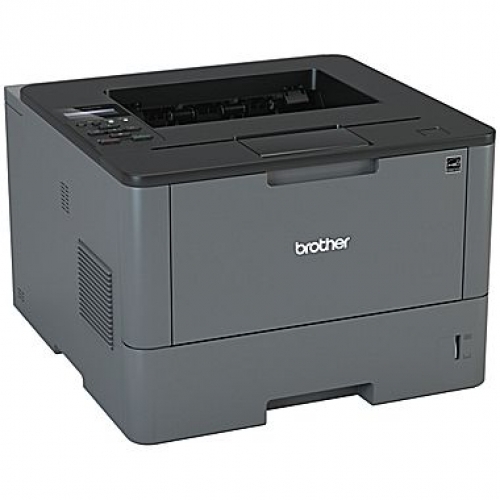 The Brother HL-L5000D printer is designed to be compatible with our Brother TN850 toner cartridges for clear, smudge free text with a high yield of 8,000 pages and the Brother DR-820 Drum Unit which feature an estimated 30,000 page lifespan. These cartridges have been engineered according to the original manufacturer’s specifications so using them won’t void your printer’s warranty. It is our goal that all our customers shop our best sales with confidence and peace of mind as part of our ongoing commitment to excellence.